Struggling to find balance in his life, widowed father of two Robert Trent seeks the help of professional organizer Lydia Evans to prepare for a big meeting and holiday dinner with a potential client, while making time for his children. A WWII era nurse is transported in time to 2016 and meets a man who helps her discover the bonds of family and that the true meaning of Christmas is timeless. Not a bad movie as far as acting, special effects, and story goes, but the script was more like a sleepy soap opera. 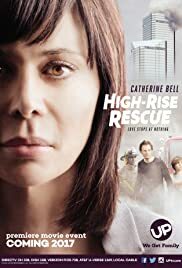 During an intense situation such as this burning high rise, with explosions happening every few minutes, it becomes hard to stomach a fireman on the ground giving marriage counsel to a struggling fire victim, or a father teaching his teenage son about future romances. while waiting above the 50th floor to be rescued. Other than that, the flick was OK, except for obviously being a TV movie with little dead spots for the commercial breaks.